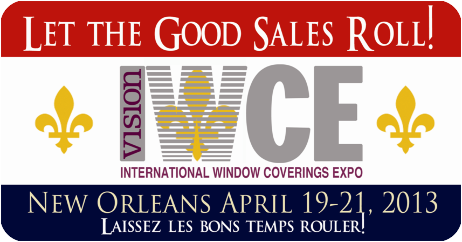 “Let the good times roll…” a common saying often heard in New Orleans, is the best way to describe the upcoming International Window Coverings Expo. With that said, we look forward to attending this year’s show in New Orleans with some of our favorite vendors. We can’t wait to collaborate, learn, and be inspired! On April 20, we are honored to serve on the Showroom panel with Exciting Windows!, Sonic Blinds, and Bazaar Home Decorating Center. Speaking on this panel will be none other than our very own Scot Dietz. We hope you can stop by at 9:15am on April 20 to see Scot speak! If you would like to set up some time to have coffee contact us. See you soon!